The Global Wellness Institute (GWI) estimates wellness tourism is a $639 billion global market, growing twice as fast as general tourism, with Australia in the top five wellness tourism markets in the Asia Pacific. The Hilltop Bathing View at the iconic Peninsula Hot Springs in Australia's Mornington Peninsula, Victoria. According to the Global Wellness Economy Monitor, Australia is in the top five wellness tourism markets in the Asia Pacific. 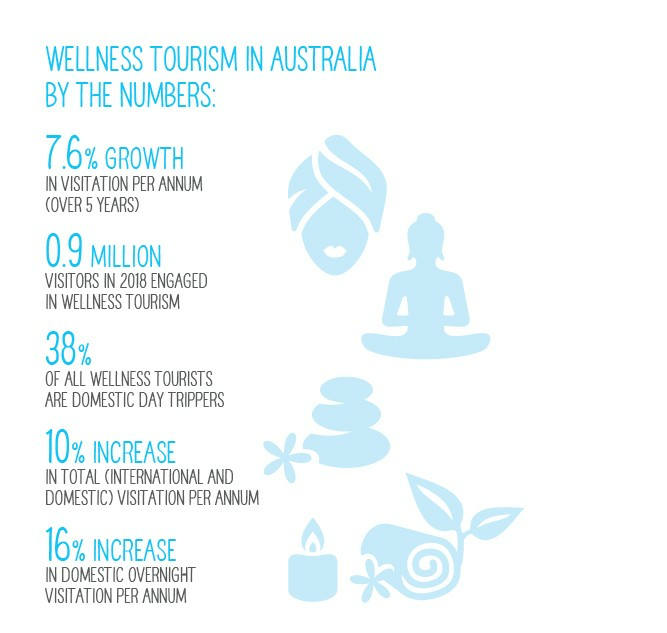 Australia’s clean, green environment; Indigenous plants with health properties; and an emphasis on cultural traditions create a competitive advantage for Australia as a destination for wellness tourism. Wellness tourism encompasses experiences which directly relate to maintaining or enhancing personal wellbeing, including visiting a health spa, sanctuary or wellbeing centre. Australia boasts several areas of high natural amenity which lend themselves to wellness tourism. Byron Bay in New South Wales and Daylesford in Victoria have grown in prominence as wellness destinations due to their variety of health and wellness activities on offer. These offerings are appealing to increasingly health-conscious consumers who are willing to spend on their wellbeing. 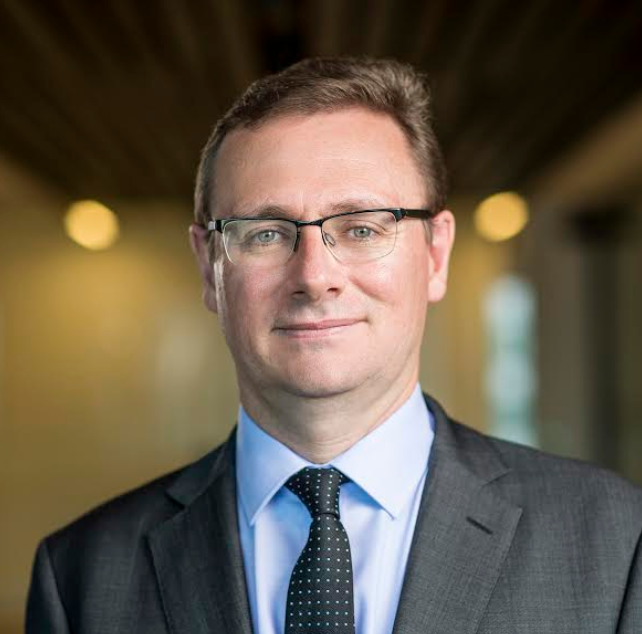 John O’Sullivan, Tourism Australia’s Managing Director stated that “Globally, wellness tourism is growing twice as fast as the tourism industry overall. With our many natural advantages, Australia is particularly well placed to capitalise upon a sector which clearly presents some very exciting tourism investment opportunities." Click here to view the Global Wellness Institute website. The enjoyment of spa-related activities with luxury leisure travel is also becoming increasingly common. Australia has a number of naturally occurring hot springs, which act as a focal point for wellness activities. Hot springs have been found to emerge from the Great Artesian Basin – a vast underground reservoir of water which covers one fifth of Australia’s land mass. Award-winning wellness destination, is expected to attract 650-750,000 annual visitors to Victoria's Mornington Peninsula following the unveiling of its highly anticipated $13 million Bath House Amphitheatre. The project represents the Hot Springs' biggest expansion to date, with the new facilities cementing the business' position on the global health and wellness map. Looking to capitalise on this growing global trend, there are several other hot springs either being developed or undergoing expansion. Peninsula Hot Springs has tapped into the latest trends in healing for its expansion, with the inclusion of seven new hot spring pools, two cold plunge pools, an outdoor stage, food bowl, new cafe, wellness centre and cultural meeting spaces to accompany a fire and ice (deep freeze and sauna) experience. Click here to view the Tourism Australia website with further information.